It has been seven years since WatchPro launched in 2010, and in that time we have never secured a high level strategic business interview with Signet Jewelers, the parent group of H.Samuel and Ernest Jones in the UK. 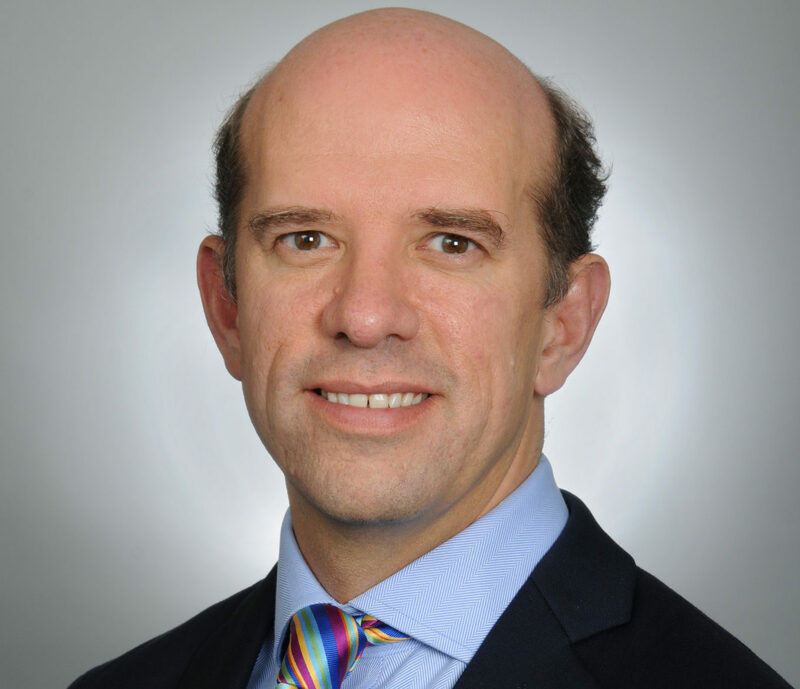 That changed this month when SEB HOBBS, Signet Jewelers President and Chief Customer Officer, agreed to answer our questions in this e-mail exchange that reveals the corporation’s successes, challenges and opportunities in the UK market. Given the sensitivity of the interview, WatchPro has chosen to publish this unedited transcript of the full text. WatchPro: What is the current size of the UK business in terms of the number of H.Samuel and Ernest Jones stores? 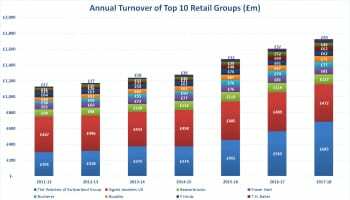 Can you share the most recent financial figures for each retail brand? 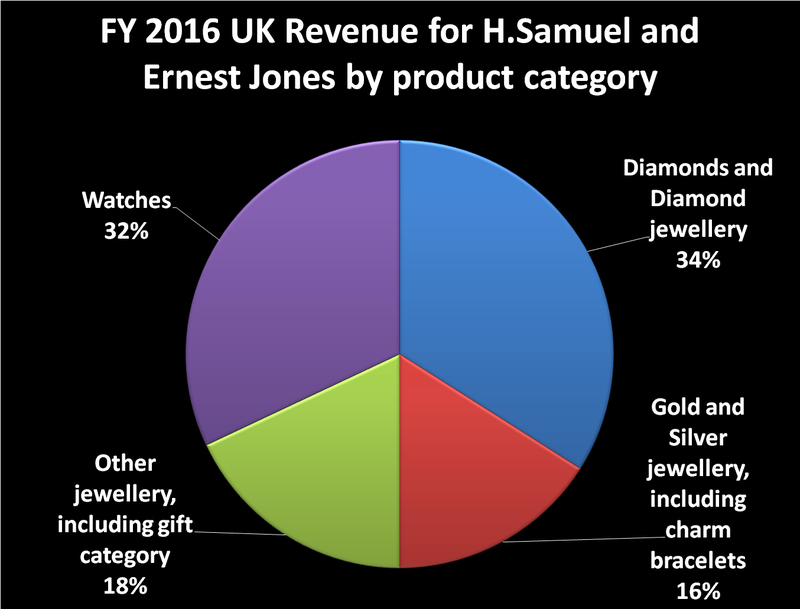 SEB HOBBS: H.Samuel is the number one specialty jewellery brand in the UK by number of stores and targets the middle market. H.Samuel accounted for 5% of Signet’s sales in Fiscal 2017 and operated 304 stores as of January 28, 2017. 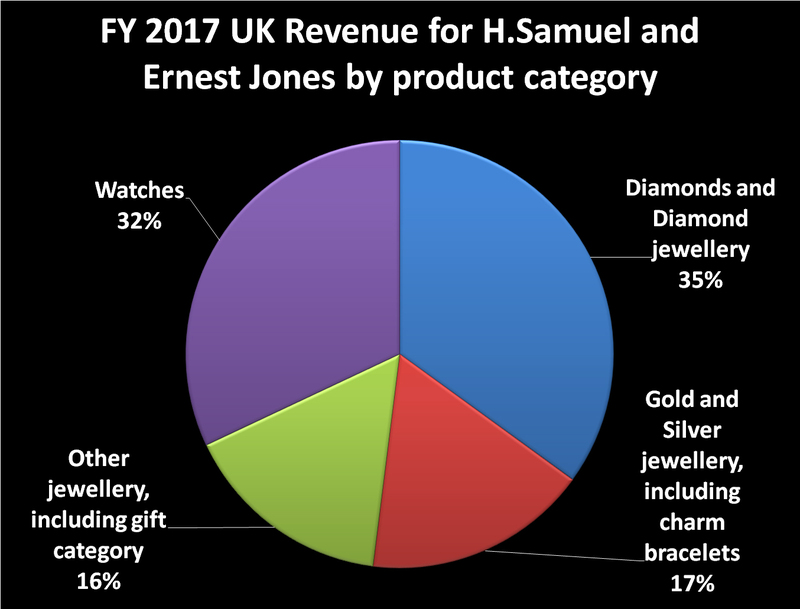 In Fiscal 2017, H.Samuel’s annual sales were £245.0 million. 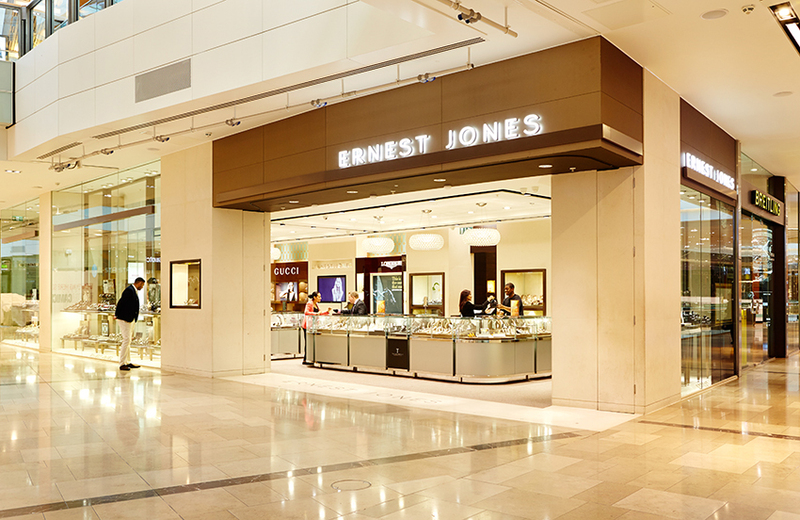 Ernest Jones is the leading upper-middle market jeweler in the UK by number of stores. 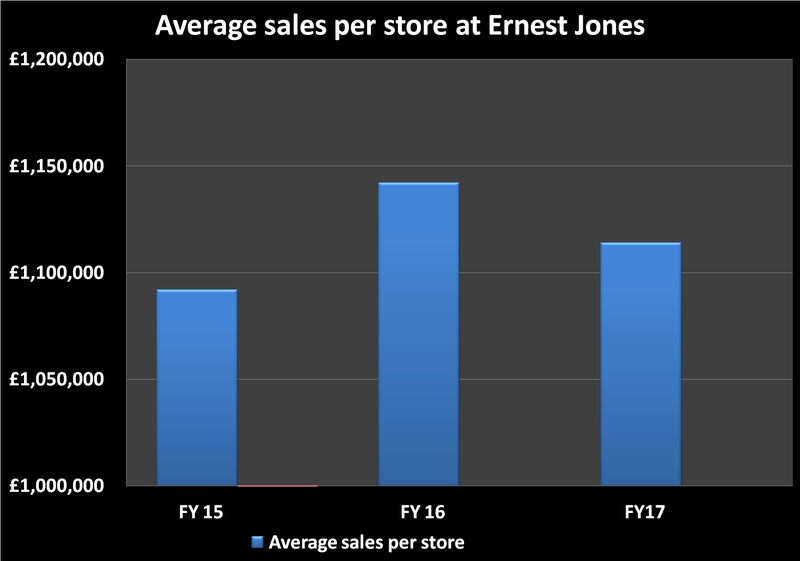 Ernest Jones accounted for 5% of Signet’s sales in Fiscal 2017 and operated 204 stores as of January 28, 2017. 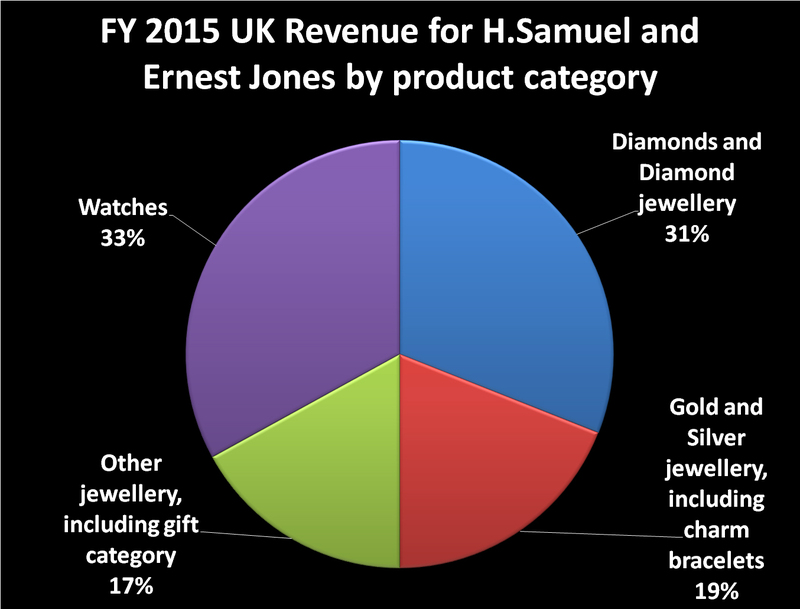 In Fiscal 2017, Ernest Jones’ annual sales were £244.4 million. WP: How has the retail portfolio changed over recent years, and how do you see it changing in the coming few years? 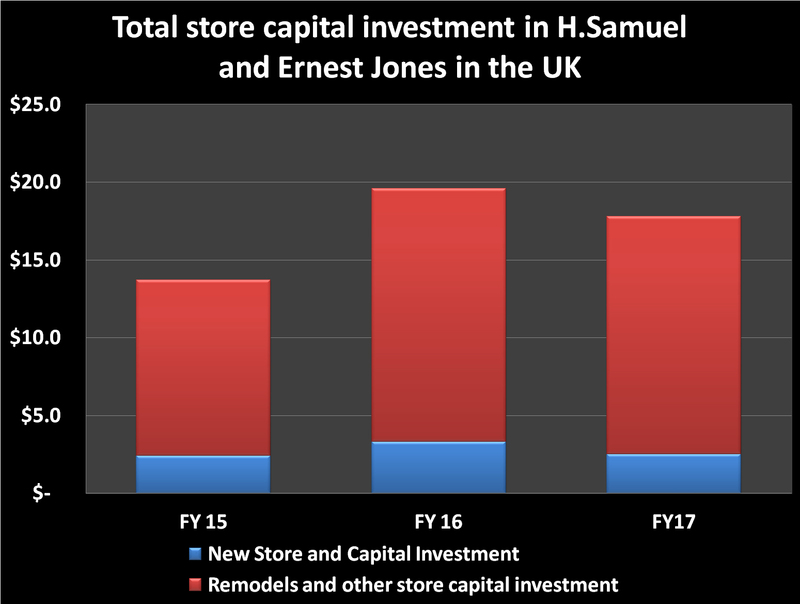 Do you anticipate more or fewer H.Samuel stores; more or fewer Ernest Jones stores; more or fewer high street shops; more or fewer shopping mall shops? SH: H.Samuel has 150 years of jewellery heritage, with a target customer focused on fashion-trend oriented, everyday jewellery and watches. 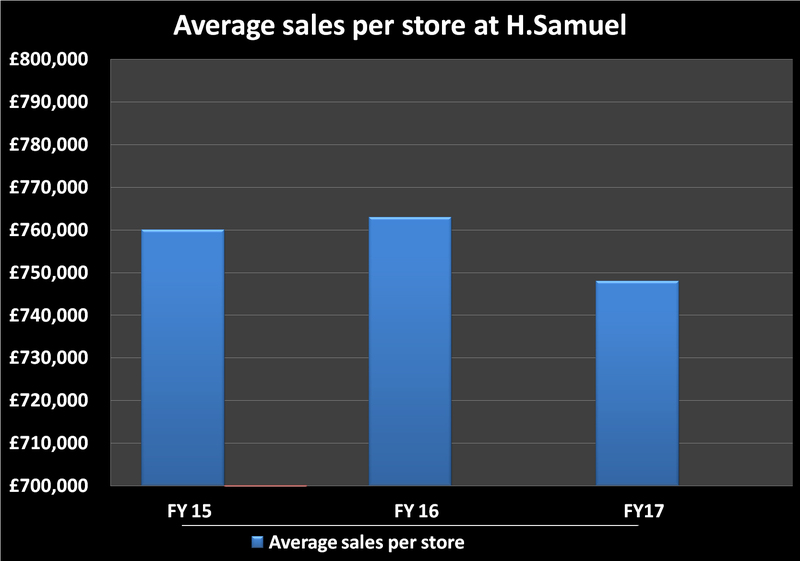 H.Samuel continues to focus on larger store formats in regional shopping centers. 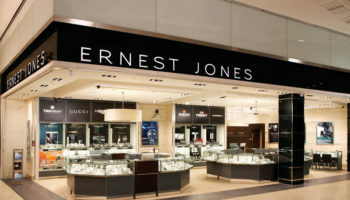 Ernest Jones serves the upper middle market, with a target customer focused on high-quality, timeless jewellery and watches. WP: How has the mix between jewellery and watches changed for H.Samuel and Ernest Jones over the past five years? 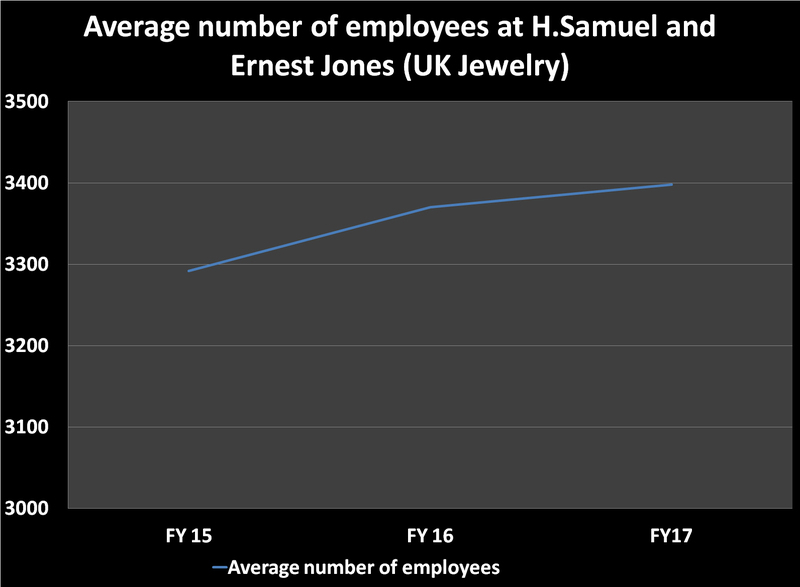 How has the rise of branded jewellery, particularly in the affordable silver category, affected H.Samuel and Ernest Jones? SH: Answers with the following charts. WP: How is the company responding to current opportunities and challenges such as customers wanting to buy online? SH: We remain resolutely focused on addressing our challenges and making improvements for the future building on the solid foundations of our Customer First strategy, our industry-leading talent and best-in-class customer experience. As customers shift towards online channels, Signet is responding to the change by enhancing our capabilities to succeed in this evolving retail landscape. 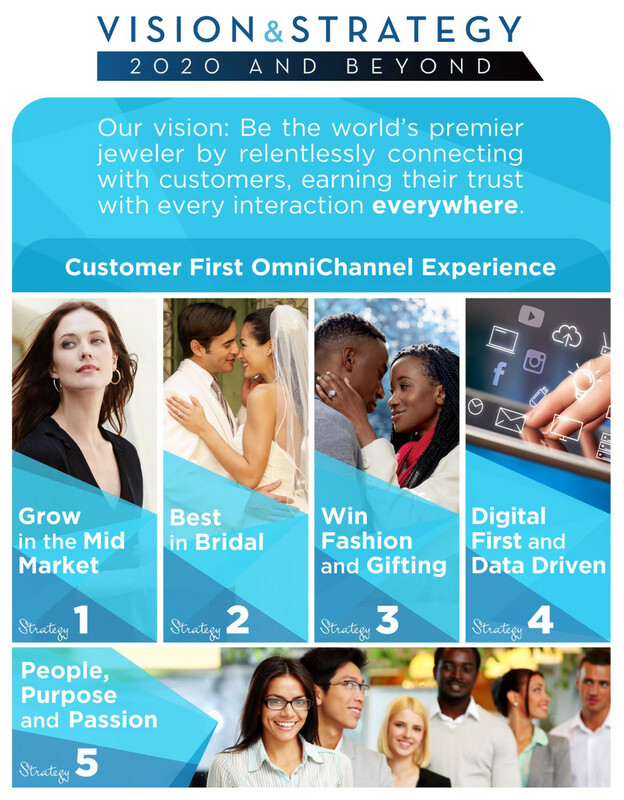 Going forward, we will continue to sharpen our focus on the mid-market jewellery customer and improving our growth trajectory through a broader and deeper OmniChannel emphasis. Our digital marketing and online presence is more pronounced than ever, and we are continuing to invest in and direct more resources to improve the key elements of the overall customer digital journey. We realigned our executive organizational structure around this imperative, creating a new role of President and Chief Customer Officer, and strengthened our board of directors to enhance our focus on delivering an outstanding multi-channel experience to customers. We have a renewed and targeted focus to improve online traffic. For example, our site architecture enhancements will improve the search engine optimization ranking. And, we will enhance the content of our sites and increase user-generated content. This year, we are substantially increasing investment in digital marketing, especially in search. We are investing in enhanced data analytics to achieve a comprehensive view of our current and future customers. We believe we have one of the largest jewellery customer file of emails, customer profiles, and more. We use this information, as well as valuable credit data, to be smart digital marketers. Additional technology investments will be tested this year to enhance the customer journey and experience such as online wish lists and bridal configurators. We will deliver on our commitment to create value through responsibility by becoming better corporate citizens every day. Going forward, we will be increasingly focused on building a best-in-class digital ecosystem that is able to provide a premier customer experience at every digital touchpoint, exceeding the needs of our customers no matter how, when, and where they wish to engage with us. WP: How fast is online growing, and how might this affect your physical stores? 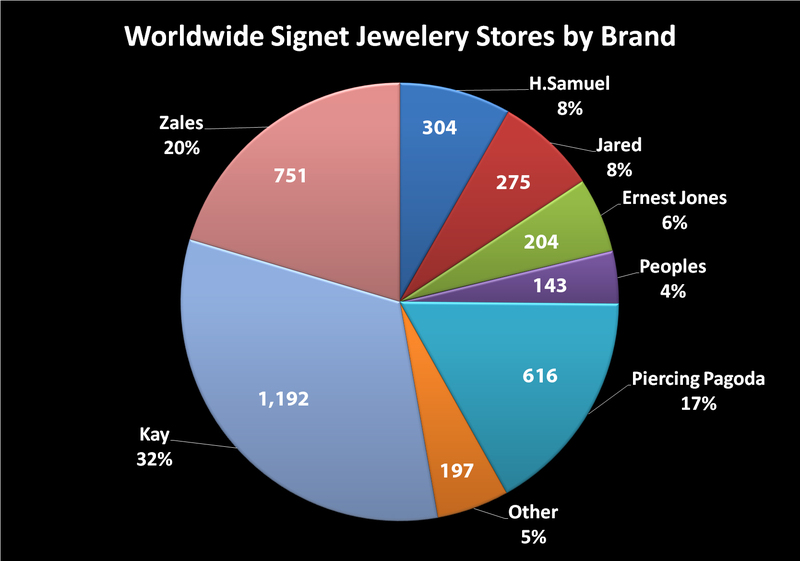 SH: As a specialty jeweller, Signet’s business differs from many other retailers such that a purchase of merchandise from any of Signet’s stores is personal, intimate and typically viewed as an important experience. Due to this dynamic, guests often invest time on Signet websites and social media to experience the merchandise assortments prior to visiting brick-and-mortar stores to execute a purchase transaction. Particularly related to high value transactions, guests will supplement their online experience with an in-store visit prior to finalizing a purchase. Through Signet’s websites, we educate guests and provide them with a source of information on products and brands, available merchandise, as well as the ability to buy online. Our websites are integrated with each division’s stores, so that merchandise ordered online may be picked up at a store or delivered to the guest. Brand websites continue to make an important and growing contribution to the guest experience, as well as to each division’s marketing programs. Investments in technology, including eCommerce platforms, focused on improving the online journey. Customer journey enhancements include user generated content, enhanced personalisation / behavioral targeting, creative execution and brand differentiation. In addition, we are focused on omnichannel wish list, online merchandising, in-store appointment booking, bridal configuration and much more. Optimisation of marketing through prioritizing dollars to digital spend and targeted marketing through traditional media. Increased use of data analytics, clienteling and other key touch points to achieve a more comprehensive view of the customer and allow us to anticipate their needs. WP: Do you expect to have as many physical stores in the future as you have today? SH: Limited new real estate development taking place would make it challenging to identify and secure suitable new store locations. 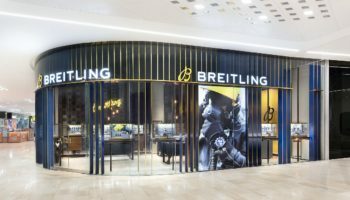 The UK Jewelry division has a more diverse range of store locations than in the US or Canada, including some exposure to smaller retail centers which do not justify the investment required to refurbish the site to the current store format. Consequently, the UK Jewelry division is gradually closing stores in such locations as leases expire or satisfactory property transactions can be executed; however, the ability to secure such property transactions is not certain. The rate of new store development is dependent on a number of factors including obtaining suitable real estate, the capital resources of Signet, the availability of appropriate staff and management and the level of the financial return on investment required by management. WP: How much do you have to invest in upgrading stores to offer different services in a more luxurious environment? SH: Globally our capital expenditure expectations are below the prior year as we will reduce our annual spending on new and remodeled stores and will continue to take a disciplined approach to optimise our store footprint to better align with dynamic consumer shopping behavior. In the UK we plan to continue the significant investments we have made over recent years in upgrading, expanding and enhancing the environment of our stores, particularly in Ernest Jones. WP: How do you balance your portfolio between the value end of the market and the luxury watches, particularly given how tough the market for fashion watches is at the moment, and how buoyant the market is for the top five luxury brands? SH: From a merchandise perspective, innovation remains a top priority. We have fresh, new merchandise line extensions and redesigns of our best-selling collections. We are building upon successful trends by devoting more resources and store space to hot categories. At the same time, our pipeline of new ideas is full with strong candidates being tested today for possible holiday season rollout. WP: Are you able to sell Rolex or Patek Philippe in any of your stores? Is this something you fight for or do you make a virtue of selling rival luxury brands? SH: We do not sell Rolex or Patek Philippe in our UK stores. We are proud to have strong partnerships with many wonderful luxury watch brands including Cartier, Omega, Breitling, Tag Heuer, Zenith, Bremont, Bell & Ross, Chanel and many others. WP: What do you make of smartwatches? What sells? SH: Since the launch of the first smartwatch the market has evolved. The introduction of smart watches into the market does not appear to have affected our watch business. Last year our H.Samuel team partnered with a number of specialist smart watch brands and fashion brands to create a dedicated online and in-store smart watch focus, remaining relevant is essential for any brand and we remain committed to listening to our customers and trying to meet their needs. Tag Heuer have done a remarkable job leading the market with the Connected and Connected modular 45 smart watch and we are delighted with its performance both in the UK and the US. WP: What brands do you expect to do best in 2017 from a revenue point of view and a profitability point of view? SH: It is our policy to not make forward-looking statements. WP: How does the Signet approach to corporate social responsibility effect the way the company operates, and in what ways does it benefit the company, your staff and your customers? SH: Earlier this year, Signet released its first formal Corporate Social Responsibility Report highlighting the Company’s industry-leading responsible sourcing, sustainability and global CSR programming. At Signet we recognise that doing the right things creates value for our employees and their families, our customers, our communities, and our shareholders. We have been acting on that understanding for more than 100 years and have therefore made our Corporate Social Responsibility efforts an integral part of our global business strategy. Signet pursues goals and priorities organised around four pillars where we believe we can have significant impact: People, Responsible Sourcing, Environmental Stewardship, and Charitable Giving. We strive to be a leader in making a positive difference in the communities, worldwide, where our Team Members live, work, and do business. WP: How do you feel when you see companies like Amazon paying virtually no corporation tax and allowing grey market sales from overseas third party retailers offering brands like Rolex? SH: It is our policy to not comment on our competitors.